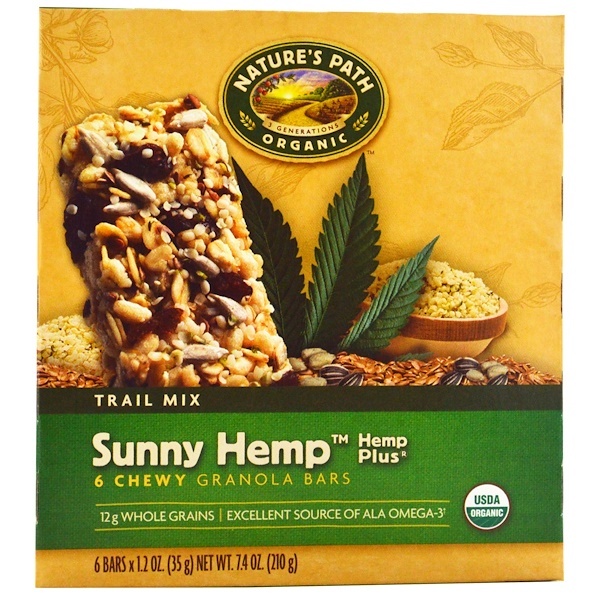 Was it the trail of nutty hemp seeds, raisins and crunchy sunflower seeds that led you here? Maybe you were looking for a nutritious snack when you came across this bar full of whole-grain oats and flaxseeds. Or did you just crave something sweet with a added crunch? Whatever reason for winding up on Nature's Path , we're glad you're here. "Growing up on an organic farm, I learned a lot about caring for the land and the importance of good stewardship. As my father Rupert used to say, 'Always leave the Earth better than you found it'. Those wise words flavor everything we do here at Nature's Path." "GMO" stands for "Genetically Modified Organisms". Doesn't sound too tasty, does it? 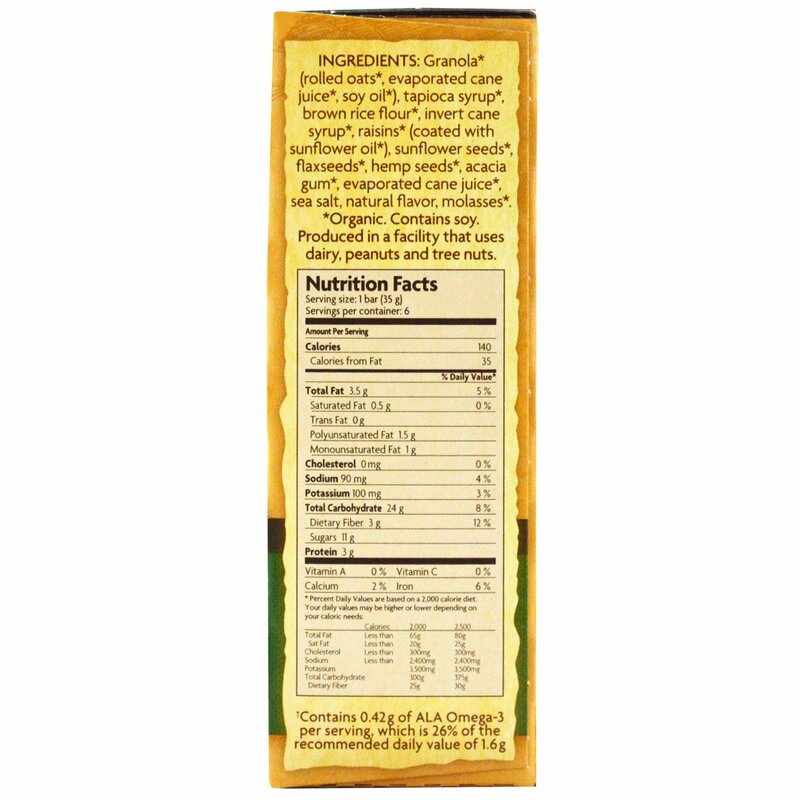 The non-GMO Project agrees, and their verification assures you that our products are made in a kitchen — not in a lab. Granola* (rolled oats*, evaporated cane juice*, soy oil*), tapioca syrup*, brown rice flour*, invert cane syrup*, raisins* (coated with sunflower oil*), sunflower seeds*, flaxseeds*, hemp seeds*, acacia gum*, evaporated cane juice*, sea salt, natural flavor, molasses*. *Organic. Contains soy. Produced in a facility that uses dairy, peanuts and tree nuts.